An article in NORDSVERIGE magazine about Fredrik Lundvall and his company Immigrant index. Fredrik Lundvall’s company is the only company that makes inquiries about the newly arrived conditions and attitudes. Västernorrland Region finances Immigrant index questionnaire implementation in Västernorrland Region in spring 2018. The new study is to divide the Municipalities in residential areas / communities to identify differences for municipal planning and use in the regional development strategy (RUS). The form is shortened because the municipalities wanted a shorter questionnaire. 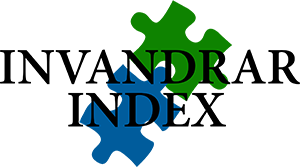 Come and listen to Invandrarndex at the Days of Tylösand on May 22, lecture at 13:30 and evening seminar at 18:00. Come and talk to us at the Exhibition section, so we can show you answers to questions of your own choice, from the new arrived immigrants. Follow this link to se a good example of how invandrarindex is used in Timrå municipality. September and October are conducted by the Riksundersøgelsen in the selected 30 municipalities. Invandrarindex will visit all municipalities in September for a revision with the responsible people in the municipalities and, in many cases, this will be a start for upper secondary and secondary school students to fill in the questionnaire. Arjeplog Övertårneå Boden Umeå Krokom Ragunda Timrå Orsa Falun Älvkarleby Vallentuna Nacka Gnesta Köping Örebro Torsby Sunne Hällefors Lysekil Kungälv Gothenburg Askersund Kinda Gislaved Ljungby, Höganäs, Ängelholm, Båstad, Osby, Karlshamn, Lessebo and Mörbylånga. During the Tylösand days 2017, 15th to 17th of May, we will present what future dreams new arrivals youngsters, 15-20 years have, and how they look at their life in Sweden. Come and see our 4 seminars in Tylösand on 15-17 May! Feel free to talk to us at our booth!